The Wollemi cabin is now open. 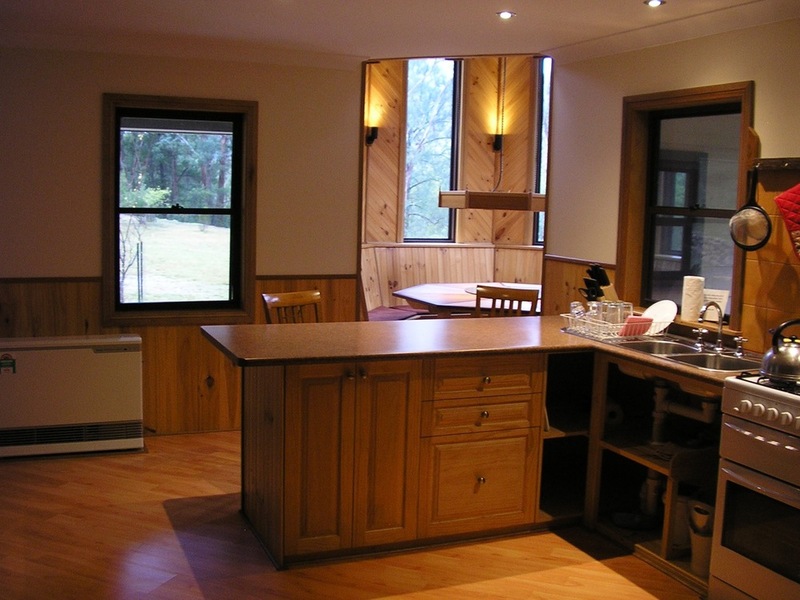 The Wollemi sleeps 9 guests in three bedrooms and two single beds in the living area. 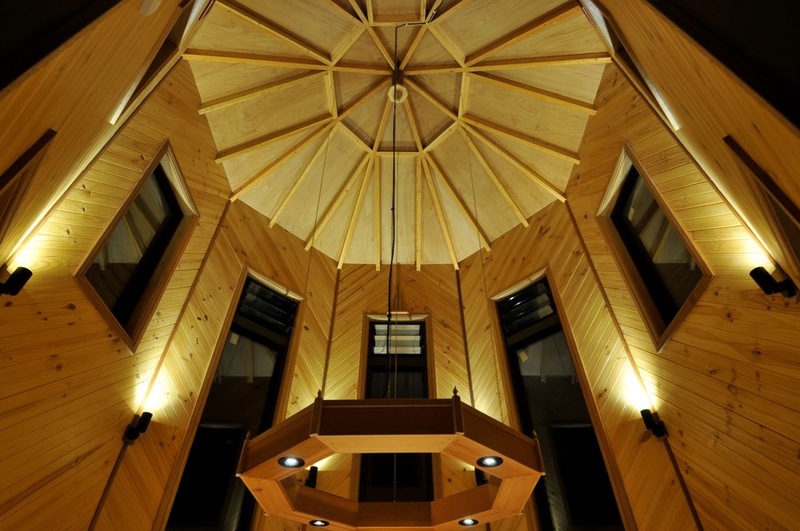 One and a half bathrooms, large kitchen and a very special dining room in the octagon tower. Someone said "a piece of art" - - you'll just have to see it. The rest is the same as in the other cabins: fully self contained, all pots and pans and basics are there incl. coffee, tea, sugar, tissues, cooking oil, and gas room heating. We provide doonas, pillows and blankets, but you will need to bring your own linen and towels. There are two verandahs one for summer and one for winter with equally beautiful views into the bush and the mountains. Weekend (from Fri. pm. until Sun. pm): $700 for up to 6 persons, $90 per additional person to maximum of 9. Long Weekends (from Fri. pm. until Mon. am): $900 for up to 6 persons, $120 per additional person to maximum of 9. Full week (6 nights): $1200 for up to 6 persons, $110 per additional person to maximum of 9.